Jane and Henry were both buried at Balmain cemetery but unfortunately it is no longer there. Henry had a son James Charles Samuels who was my husband’s grandfather. information on the Samuels family. The first Henry was married to Hannah Hutchins who was previously married to Thomas Benson. They are both buried i.e. Hannah and Henry at Camperdown cemetery, New Town, Sydney. From Penny and Marilyn I have further info. To begin with, Phil Ready provided the following information. Hannah Hitchens first married Thomas Benson ( who is officially and possibly my ancestor ) and they had 2 daughters MARY ANN and SARAH ANN. Following Thomas’ death in Liverpool Asylum, Hannah bore children to and later married HENRY SAMUELS. Greatly interested as Hannah Hitchens/Hutchings is my gt gt grandmother by her second marriage to Henry Samuels. Their daughter Louisa Matilda married to Jabez Brown was my gt grand mother.I have just this very day being trying to trace both parts of the familie’s movements in Victoria and NSW. When was Thomas Benson admitted to Liverpool asylum and why? Hannah and Henry’s 1st child Hannah was born in 1832 within days of his death and they did not mary until 1836 with permission of the govt. Hannah did not get her Conditional Pardon until 1838.Henry was also a convict. No I don’t have much on Hannah Samuels jnr/Kilfoyle except Victorian death certs for her and husband Joseph (1889 & 1905).in Victoria. I also have dc’s for all her Samuels siblings except Ellen and a bc for Benson 1/2 sister Mary Ann born 1827 Lower Minto. Next step is to obtain a transcript of her birth cert. I feel there must have been a wee bit of a relationship overlap to say the least whilst Thomas was languishing in Liverpool insane asylum! His death cert has occupation – LUNATIC! I had a quick look on nsw BDM and saw the 1833 Jane Benson death but no mother is given. Where is the info from? It could be another Benson. I found Glen Mc Kenzie’s family tree on Rootsweb 2002 – World Connect a good guide to Samuels that got me going. @ GLNMCK@HOTMAIL.COM 1927760 There are some inaccuracies eg Henry Samuels senior place of birth. I am descended from their 3rd child, Henry Thomas Moore who married Ellen McPhee, then their 2nd child Leslie Francis Moore who married Gladys May Robinson, then their 1st child Gladys Ivy Moore who married my father, Allen William Roberts. 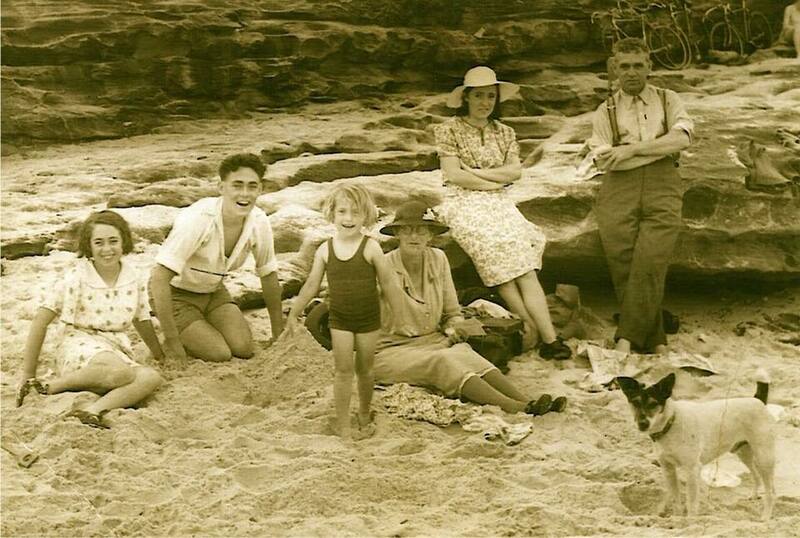 Mum and Dad only lived 3 streets away from each other in Lilyfield and knew each other from childhood. You would know that George was the 1st son of George Moore, convict of the ‘Asia’ 1822 and Ann Tracey, who came free on ‘ Elizabeth ’ 1818. They married in 1827 and George was born in 1828. Thanks for the new info and Penny has raised a few questions actually. I hadn’t noticed but I have a child, Jane Benson, registered born and died in 1833 to Hannah and Thomas Benson, besides the child Penny mentioned, Hannah, born in 1832 (parents Hannah and Henry Samuels). I hadn’t noticed the cross over of dates. Will have to investigate further. Perhaps ‘Jane’ and ‘Hannah’ are the same child? Is it possible to ask Penny if she has anything on ‘Hannah’ except for a birth? I don’t have anything further on Thomas Benson’s death, only the BDM registered in Liverpool . If Penny has a certificate she knows more than I at this time. Of course, back in the early days asylums were also classified for use as ‘benevolent’, for not just the ‘ insane’ but also for people with invalidism or ill-health, or as paupers. A cert would give some idea of his ‘condition’. LYNNE WRITES : Sarah Ann was married in 1851 to Peter Mark Ready. They then go to Victoria in 1852 with their baby daughter. Hannah being only one year younger than Sarah it does seem likely there is a connection in the Victorian experience. They lived in White Hills and then Back Creek near Amherst ( ah! this then became known as Talbot in 1861) It was there in 1862 that Peter Mark ready fell down a mine shaft and died.